MRAM (Magnetic Random Access Memory) is expected to be one of the few candidates for next-generation non-volatile memory that has the potential to deal with increases in leakage current due to the miniaturization of DRAM (Dynamic Random Access Memory) and reduce standby power consumption. Figure 1　Example of a perpendicular MTJ stack consisting of a bottom synthetic Co/Pt reference layer. The free magnetic moment switches between two states (Parallel and Anti- Parallel). With a proven track record of delivering sputtering equipment to universities and re- search institutions, in 2002, ULVAC released MRAM equipment that adopted a platform that had been used in the semiconductor production process for wafer sizes up to 200mm. In 2010, ULVAC released sputtering production equipment for MRAM as the “ENTRON Series,” which supported ultra-high vacuum processes and had proven performance in the mass production of semiconductors for wafer sizes up to 300mm. Currently, while working to further adapt it to mass production technologies, ULVAC is developing unique technologies and continuing technical development to prepare the equipment for use in future MRAM mass production. This paper introduces the equipment configuration specially designed for MRAM and the technical challenges that have to be tackled as an equipment manufacturer. 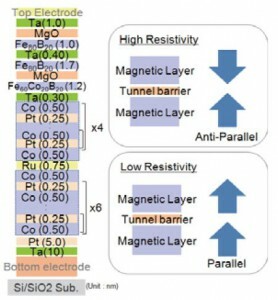 In general, MRAM devices are constructed to have a tunnel barrier layer made of magnesium oxide between functional layers made of a magnetic material called MTJ (Magnetoresistive Tunnel Junction) and they work by changing the magnetic moment directions of the magnetically anisotropic upper and lower layers so that they are parallel or antiparallel to increase and decrease the resistance and serve as a memory device. Figure 1 shows the film construction optimized by ULVAC based on a report by a research group of Tohoku University1). So far, the electric and magnetic characteristics shown in Figure 2 have been confirmed. The film has a bottom pin construction in which the device resistance changes to high or low when the free layer reverses. Currently, to write memory, the STT (Spin Transfer Torque) technique 2), by which the free layer is reversed with a polarized spin current, has been studied and is expected to reduce the power consumption needed for writes through miniaturization. In particular, (1) and (2) are the key issues to tackle for production equipment, and it is important to make the numeric values and film quality as ideal as possible. As shown in Figure 1, the film is made up of ultra-thin Co and Pt films with a thickness of 1 nm or less stacked with multiple periods by using perpendicular magnetic anisotropy. With the conventional method, when the Co and Pt layers were stacked, the deposition time and non-deposition time occurred intermittently. To reduce the process time, the non-deposition time was omitted so that continuous discharge occurred, thereby reducing the time by approximately 70％. In addition, we were able to slightly reduce the change ratio of the anisotropy magnetic field. Table 1 shows the magnetic characteristics and improvement ratios for different conditions (A to D). The difference in the deposition pressure between Co and Pt with condition D was made smaller than that with condition A of the conventional process and in addition, the movement of the cathode shielding plate with condition D was restricted. 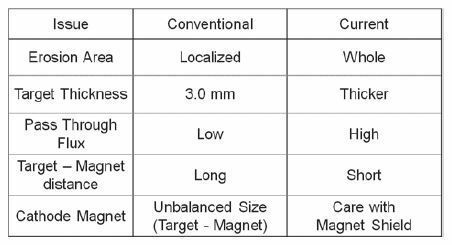 Table 1　Process Time and Magnetic Properties of several conditions A, B, C, D.
Magnetic materials are essential for MRAM. A problem to tackle for mass production is that, for the cathode with magnetron sputering, it is extremely dificult to extend the target life while maintaining discharge at a low volt- age. The current cathode mechanism was reviewed to iden- tify problems. By solving these problems, the life was in- creased by about five times. Table 2 shows a summary of the problems identified and measures taken to solve them. 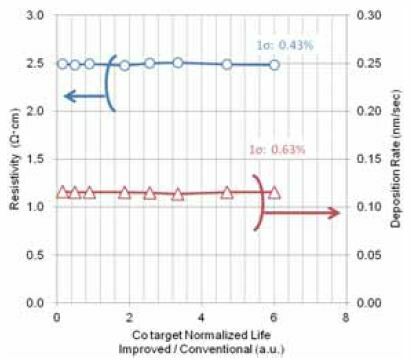 Figure 3 shows the performance stability until the target reaches the end of its life. The figure shows that the deposition rate and specific resistance are stable. Table 2　Isuue list to improve Co target life. 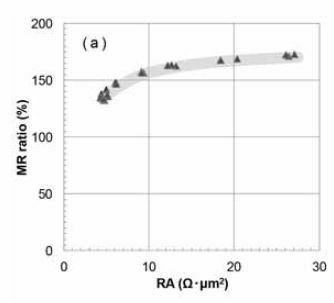 Figure 3　Per formance Stability of Co material with Magnetron Sputtering Cathode.